Chefs and health professionals alike tout the benefits of fresh herbs. For most busy adults, creating a large container of mixed herbs is the easiest way to go. Container gardening allows consumers to conveniently keep their herbs in the kitchen or right outside the back door. If one environment proves to be too harsh, the container can easily be moved to a more suitable area of the home or yard. 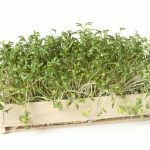 With so many herbs on the market, however, which ones will prove most useful and easiest to grow in a container environment? Who does not love enhancing their meals with the delicious and exotic flavors of herbs? We have to be careful of the fat content of our diets, and many people find that herbs often take the place of fats and sugary sauces. Making a habit of cooking with healthful organic herbs is a great way to better health through flavorful, vitamin-rich meals that pack a lot of punch without all the unhealthy ingredients. For those who are unfamiliar with compost tea, compost tea is not intended for human consumption but rather to fertilize plants. It is easily one of the best ways to fertilize and feed plants. 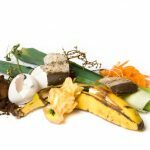 While compost itself is extremely useful, compost tea, which is made from compost steeped in water, allows the plants to better absorb the nutrients found in the compost. One of the best ways to acquire medicinal herbs is to grow your own. Growing your own herbs confers a lot of benefits. First, it will save you a good deal of money. Medicinal herbs are expensive, but once you pay for the seeds or the plants, your harvests will be practically free. More importantly, most herbs are more potent when they are fresh. If you are using fresh herbs, your remedies will be more effective.